NEW YORK—Sgorbati Projects is pleased to present Body Superficial. The exhibition explores ‘body’ and ‘surface’ through artworks that incorporate textiles in varied form by artists for whom performance is an integral component of their practice. 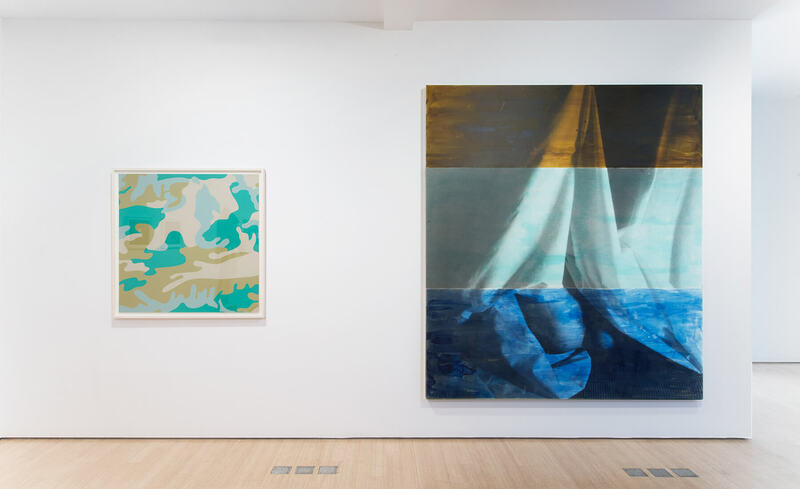 Artists include Susan Cianciolo, Cheryl Donegan, K8 Hardy, Jayson Musson, Pope.L, David Salle, and Andy Warhol. It will run concurrently with CHERYL DONEGAN: SCENES + COMMERCIALS, a solo exhibition at the New Museum, opening 20 January through 10 April, 2016. 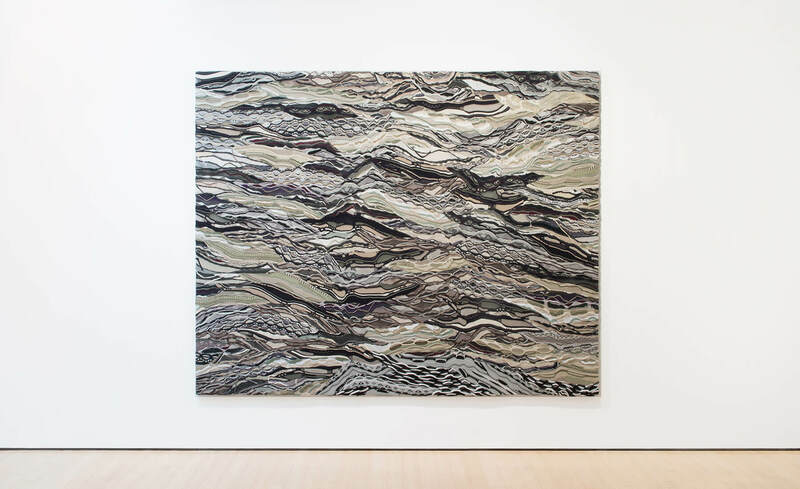 In exhibited artworks, textiles become markers and stand-ins for the body, their use shifting between painting, photography and performance. At times, these materials become abstract flat works devoid of figuration, yet still contain the body’s charge, energy and symbolism. In other examples, textiles are used as garments that can force narratives onto the physical body, or act specifically as clothing or as fashion. 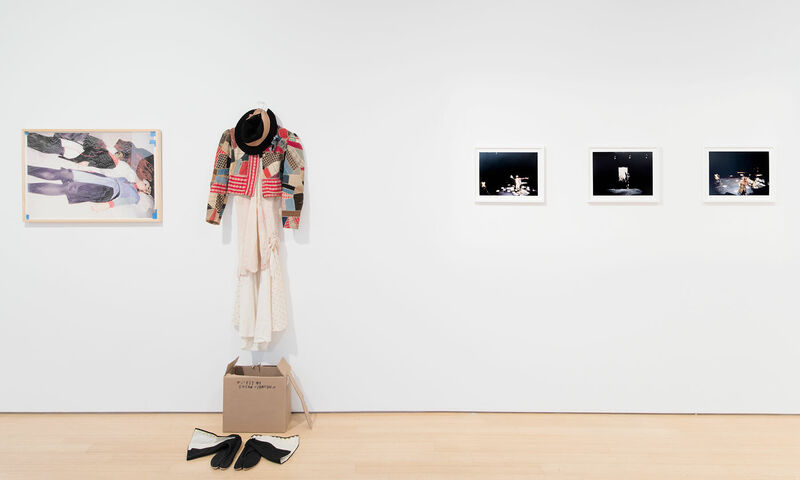 Susan Cianciolo exhibits a single costume and photograph. 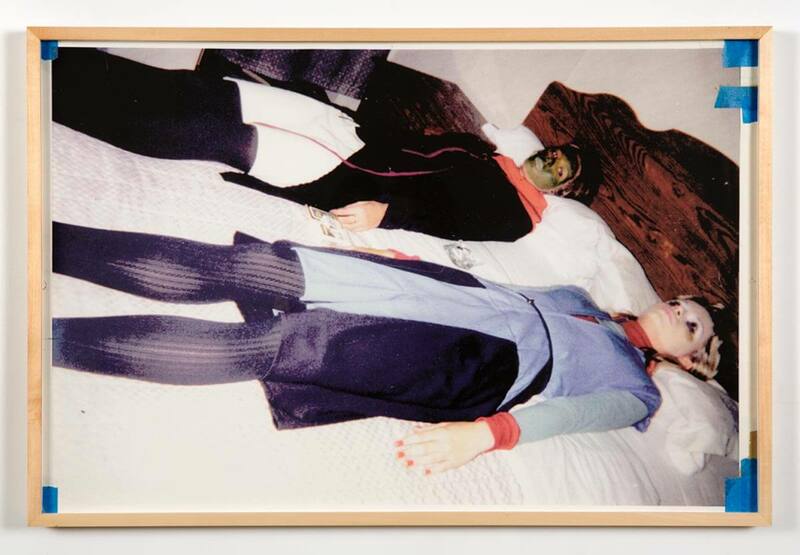 The photograph, Untitled (Utopian Art Festival, Hotel 17) (1996), depicts two models lying on a hotel bed in clothing and makeup of Cianciolo’s design. The costume is from the artist’s most recent film: Queens and Kings and Working Class Heroes (2015) (on view now at MoMA PS1’s Greater New York exhibition). Hung on the wall, with shoes and accessories, this display visions a way of wearing the pieces and includes a box to store and put away when not on view. As a whole, the costume artwork is presented in a very utilitarian manner, a continuation of Cianciolo's form-for-function formula. Through abstract artworks made by lo-fi means, Cheryl Donegan examines experience as shifting towards an increasingly flat, digital representation of identity. 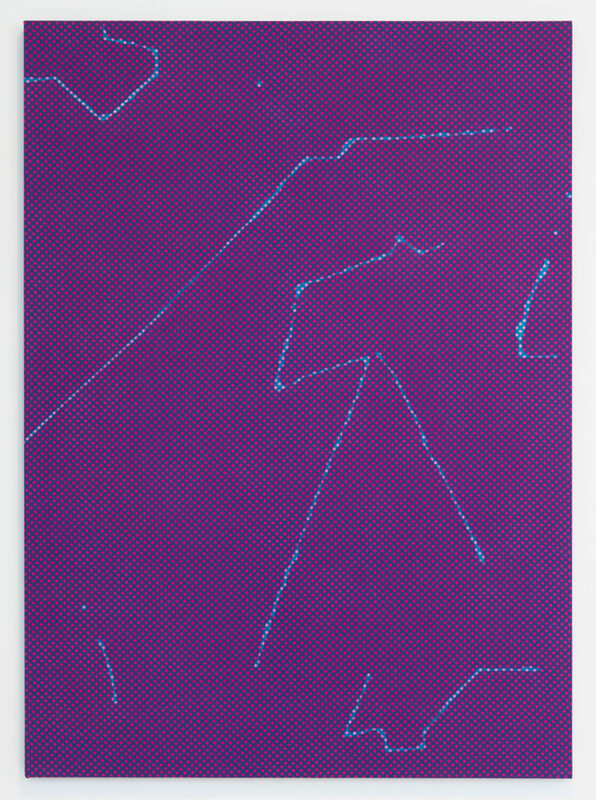 Untitled (Dots, Purple - Blue) uses found polka dot fabric, a pattern that if worn, can act to map the contours of the body. As ground, it is used to support marks made through a simple glue resist and repetitive dying of the fabric. These lines are integrated directly into the painting’s surface, similar to a signature made on a tablet computer screen. They can be suggestive of schematic movement and are sourced directly from architecture, fashion and the urban environment. 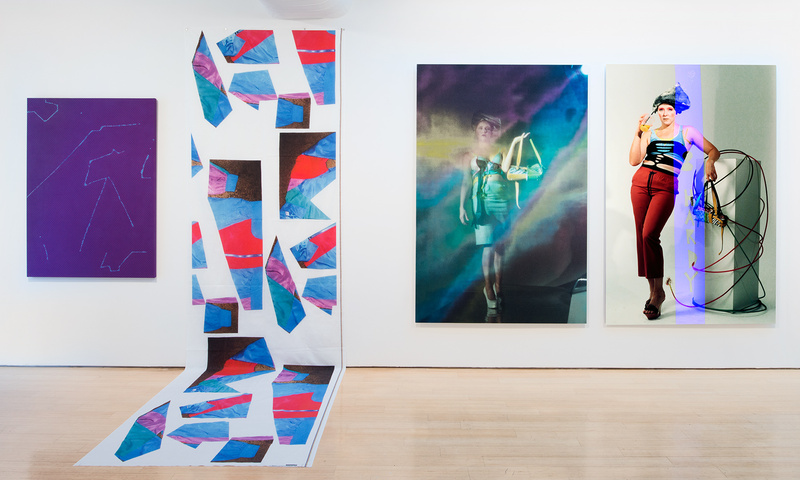 The paintings’ vibrating colors reference the ‘optic buzz’ of fashion and the digital. Track Suit Banner (blue, red, green, lavender) (2015) incorporates “weak” images—in this case snapshots used to sell track suits sourced from eBay—printed onto a bolt of cotton. 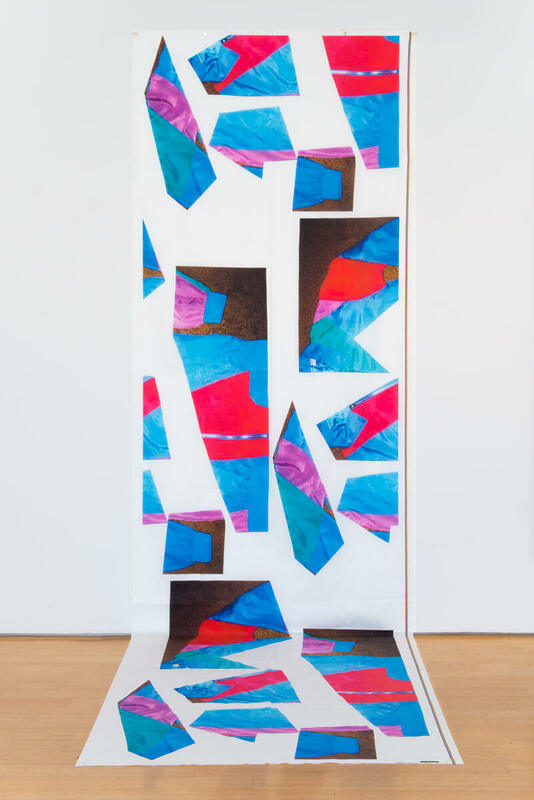 The chopped and repositioned images then flow from wall onto floor, defamiliarizing a quotidian image and making the point that the body is the excess of the digital. K8 Hardy shows two September Issue photographs that depict the artist as fashion model for clothing of her own design. The works are in part a send up of contemporary fashion, yet embody these ideas not entirely as critique or mockery. They seem imbued with an ownership of body, style, and content. The confrontational image, so prevalent in fashion photography, often is designed to give the body of the model freely to the viewer, yet here as self-portrait, it is held visually in check by the overlay of color, image, or text onto the image’s surface. 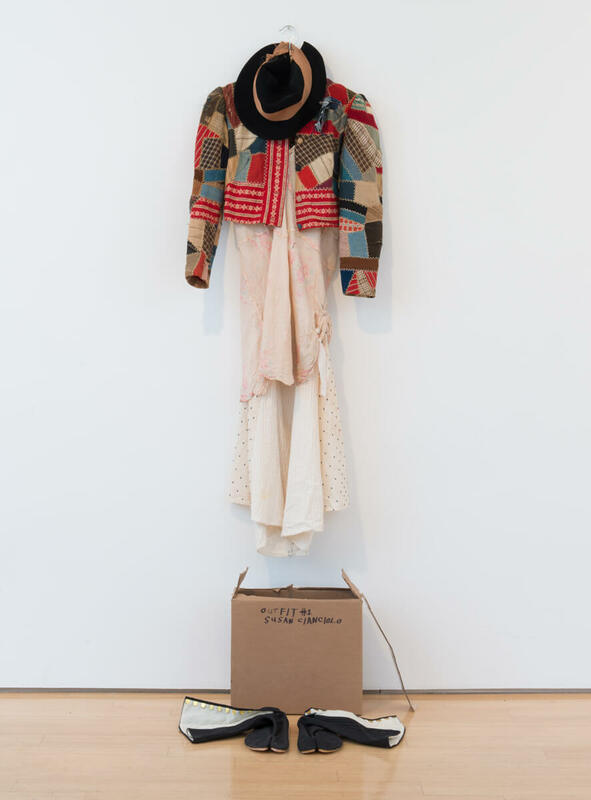 Jayson Musson’s Expectant Reaction to Abnormal Phenomenon (Black Rob) (2015) is made of deconstructed and recombined Coogi sweaters. 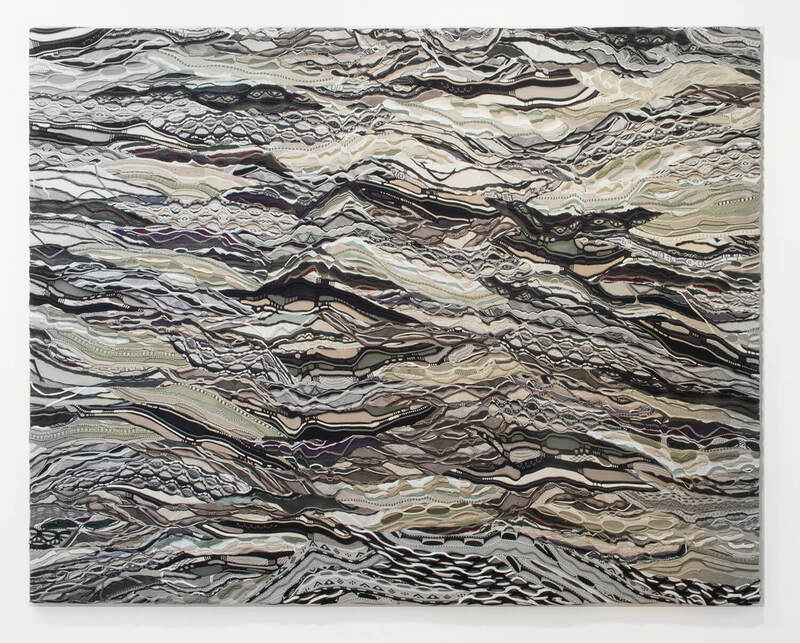 The manufactured material becomes a type of pure painting of abstract shapes, colors, and textures, yet the work still carries the association with a brand of status—a cultural reference to 1980s and 1990s—as the sweaters were popularized by both Bill Cosby as Clifford Huxtable on The Cosby Show, and the late rapper Notorious B.I.G. 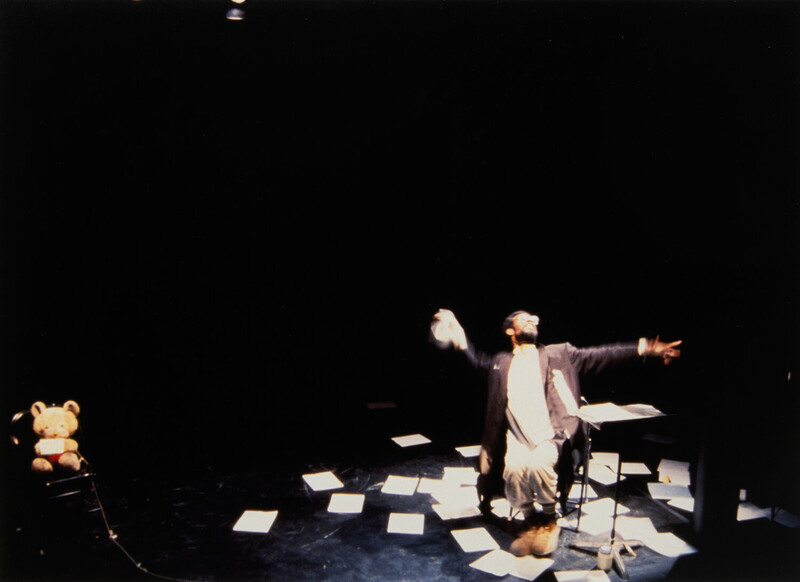 A solo performance supplemented by guitarist and comic foil interpolating the subjects of masculinity, language and race. 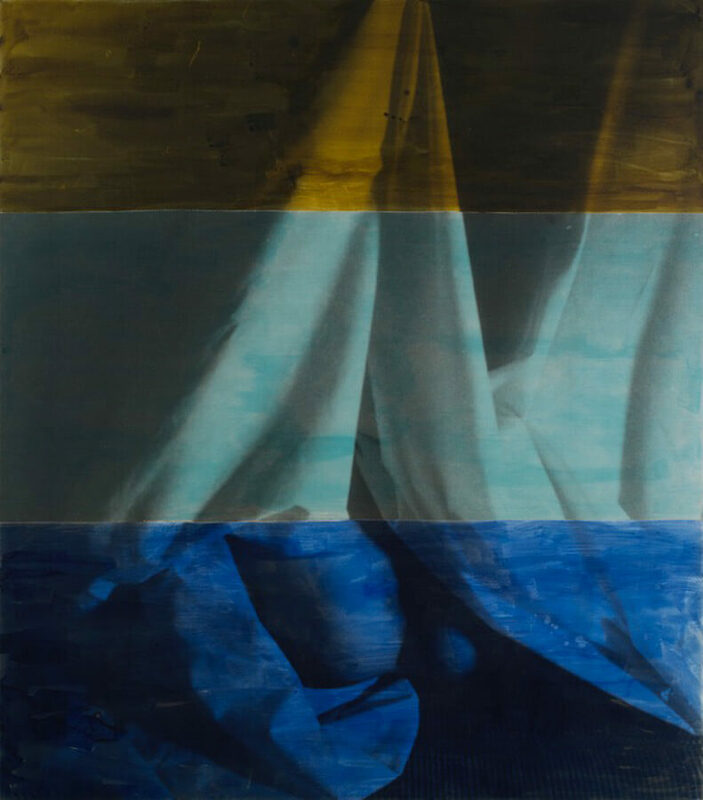 David Salle’s painting, Ghost 4 (1992), depicts a performer manipulating her body underneath a sheet of fabric. The photographic image is printed onto linen, then covered with washes of color. 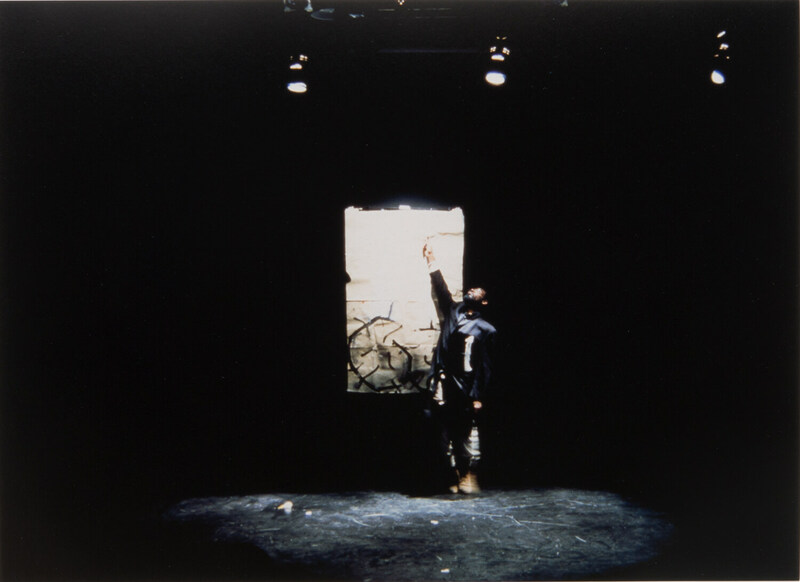 The painting, from a series of works completed in 1992, but not publicly exhibited until 2013, serves as important insight into Salle’s overall body of work. 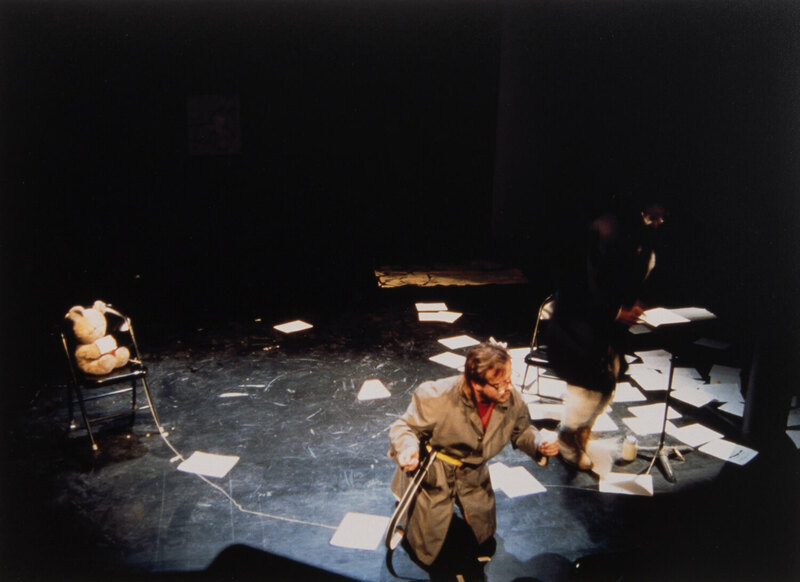 They are a key to understanding the artist’s early introduction of the photographic image to the canvas and his use of staged performance as compositional device. 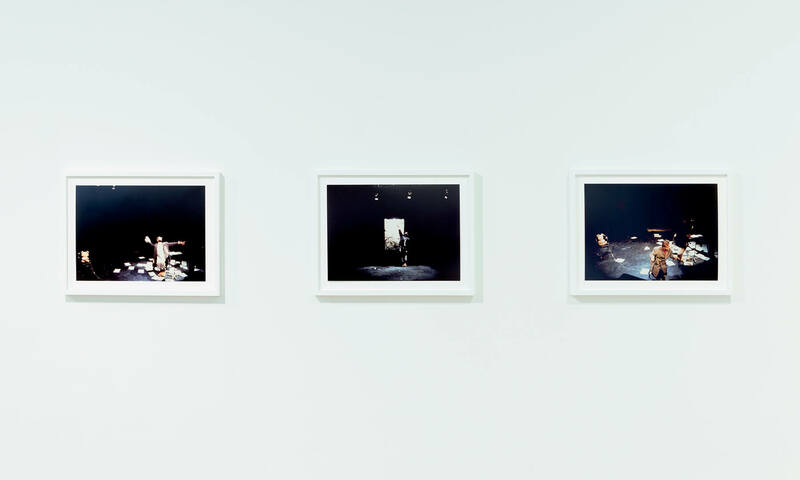 The Ghost paintings act as a direct combination of painting, photography and performance. Andy Warhol incorporated the use of camouflage, a textile invented to hide the physical body during the act of war, into paintings beginning in 1986 shortly before his death the following year. Exhibited here is Camouflage (Unique Variant of II.407) (1987), a unique color variant from an editioned portfolio of eight screenprints. 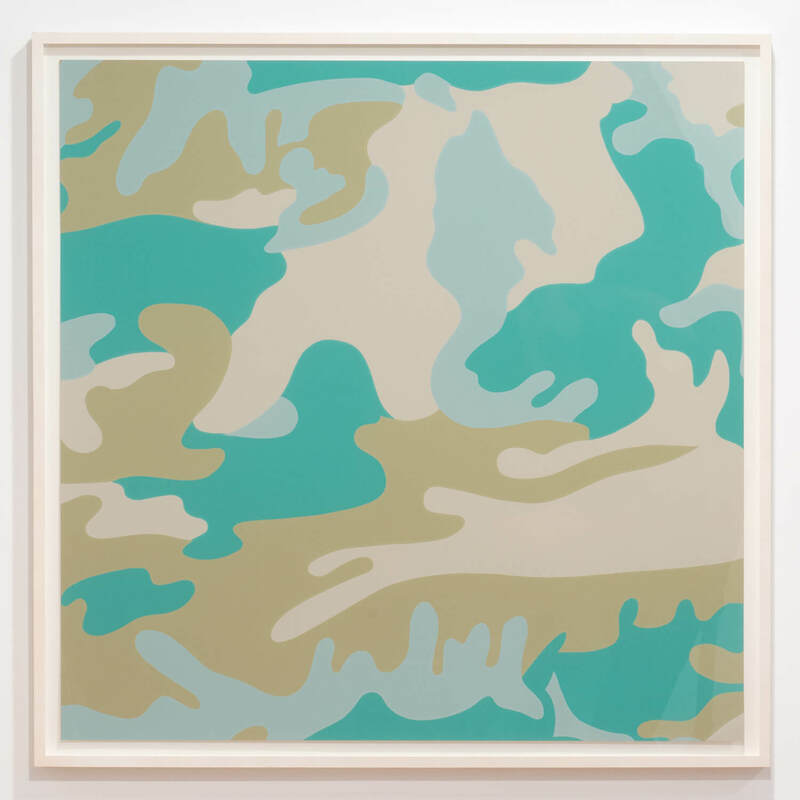 For an artist whose public life can be thought of as prolonged performance, conflicted with intense notions of personal privacy, the camouflage pattern becomes a simple, yet poignant symbol.